Zoroastrianism is one of the oldest religions in the world. It was founded by the Prophet Zoroaster in ancient Iran approximately 3500 years ago and it pre-dates all of the Abrahamic religions. It originated in Modern Day Iran and was founded by the Prophet Zarathustra or Zoroaster. It is a monotheistic religion, they believe in one God ie, Acura Mazda or The Wise Lord. They believe He created the world. The truth was revealed through His prophet Zoroaster, who is not worshipped but is followed as his directed path of truth and righteousness. The elements of nature like earth, fire, water and air are pure and Fire represents God’s Light. Hence, Zoroastrians will never pollute the elements of nature. 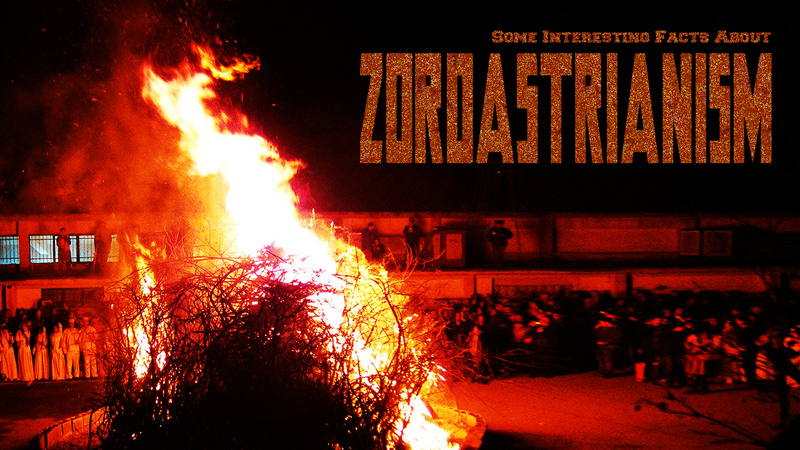 Many westerners believe that Zoroastrians are fire-worshippers, but that’s inaccurate. Fire is a central symbol of the faith –they believe that fire represents God’s light and wisdom and also that the elements are pure. Their holy book, The Avesta is written in an ancient language called Avesta. As opposed to conventional beliefs, Zoroastrians is found to have similar roots to that of Hinduism. ie, Vedic Roots. The Avestan Language is also very similar to Sanskrit and has common origins. There is a Fire Temple in Baku, Azerbaijan, The Baku Ashgabat which was a common place of worship for Hindus and Zoroastrians. Both Hinduism and Zoroastrianism consider Fire sacred. Persia, before the Arab Invasion was almost completely Zoroastrian. There is a vast difference in the culture of a few Zoroastrians living in Iran and those living in India ie, the Parsis and Iranis. India has majority of the population of the world’s total Zoroastrians.